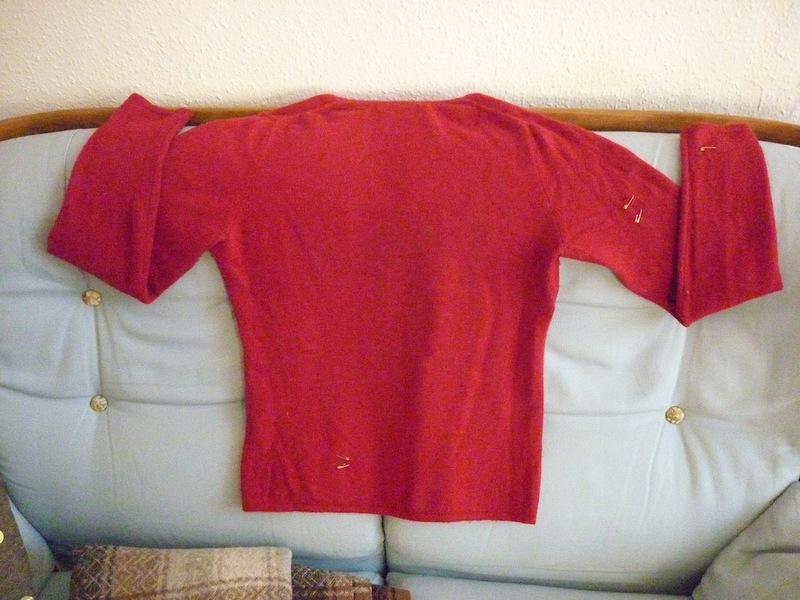 Oh no, moths have had a feast on this red cashmere jumper! My friend has a lovely red cashmere jumper. But MOTHS have had a feast on it! As you can see, I have carefully gone over the jumper to find out where they had their starter, main course and pudding. I think they may have had a cheeseboard too. 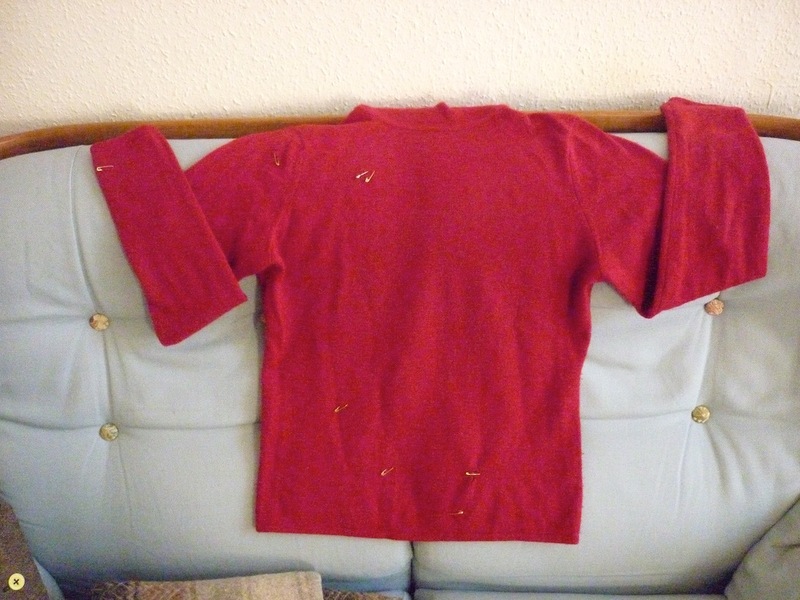 I marked all the holes with coilless safety pins, as I think this is a perfect candidate for the Visible Mending Programme. I’m planning to use some Jamieson’s Ultra 2ply shetland laceweight to connect all the holes with a fine ruffle. Let’s hope the MOTHS won’t find out.